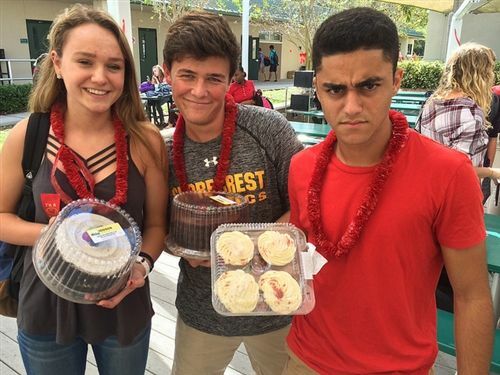 The Shorecrest Upper School SADD Club (Students Against Destructive Decisions) took part in Red Ribbon Week by decorating the school, wearing red ribbons, and participating in a bake sale and cake walk. Red Ribbon Week is an alcohol, tobacco and other drug and violence prevention awareness campaign that takes place every year since 1985. Congratulations to junior Nicole L, senior Dylan L, junior Charlotte L and many other students for winning a cake by competing like pros in our musical chairs cake walk! Watch the cake walk - thanks to juniors Courtney M and Chisom N.